Students who have applied to graduate and are planning to participate in the Summer 2019 Commencement should keep checking this website and their email for important Commencement information. Note: Spring 2019 and Summer 2019 graduation applicants will receive Commencement updates and information sent to their GW email accounts, while Summer 2018 and Fall 2018 graduates need to check their personal email accounts. Check DegreeMap to ensure that all degree requirements have been/will be completed at the end of your final semester. Degree conferral cannot occur until the requirements bar in DegreeMap indicates 100% completion. You are required to be registered in the semester in which your degree will be conferred. You can verify that your degree has been conferred via your unofficial transcript on GWeb. The CPS/GSPM Commencement Celebration will be held on Saturday, May 18, 2019 at 7:30 p.m. in the Charles E. Smith Center. During the CPS Celebration, the name of each graduate is called as the student crosses the stage. The University Commencement Ceremony will be held on Sunday, May 19, 2019 at 9:30 a.m. on the National Mall, rain or shine (on-campus emergency plan will be announced). This large ceremony consists of a processional, awards and prizes to faculty, conferral of honorary degrees, speakers (student speaker and major public figures), and the official conferral of degrees by the University President. Students' names are not called at this ceremony and students do not walk across the stage. Additional information regarding the University Commencement Ceremony can be found by visiting the GW Commencement website. If an unexpected or emergency situation develops, you may have to follow GW’s Alternate Site Plan. Please review the University Commencement Schedule for important times for students attending the Sunday ceremony. 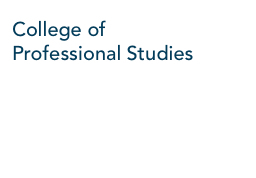 Faculty participating in the CPS celebration will convene at an appointed location prior to the CPS Commencement ceremony, to prepare for the processional. Please check back closer to the 2019 Commencement celebration for details. Event staff will be present to assist. If you have any questions, please contact Melissa Feuer at [email protected] or 703-299-4983. Grad Fair 2019 will be held Thursday, March 21-Saturday, March 23, at the GW Campus Store. For additional information, such as fair hours and location, please contact GW Events & Venues at 202-994-7129 or by email [email protected]. GW regalia (cap and gown) is required for all students participating in the CPS School Celebration and University Commencement. Regalia will not be available at the Charles E. Smith Center or on the National Mall. Regalia can be purchased online until April 29th or purchased in-person at various times throughout the Spring semester. Online shipping charges are $25 until midnight on April 19th and $36.90 from April 19th-April 29th. Regalia rentals are not available for bachelor's or master's candidates. Please access the University’s regalia website for more information about protocol. * please select "Order A Cap And Gown"
Typical commencement attire is business to business casual. A word of caution: students will be crossing a roughly-paved street and ascending/descending a number of staircases. And for the Sunday commencement on the National Mall, you will be walking on grass and possibly in muddy areas, depending on the weather. We strongly encourage you to avoid high heels and wear shoes easy to walk in under these circumstances. Tickets to the CPS/GSPM Celebration will be distributed via mail beginning in mid-April to the current address on file with GW (please ensure that your address is updated with the University’s Registrar’s Office). Tickets will be mailed only to students who have completed the University’s Mandatory Graduation Survey. Students will receive eight (8) guest tickets to the CPS/GSPM Celebration. Students who are interested in extra tickets to the CPS Commencement should check with their classmates, as some of them may not need all eight tickets. Tickets are not required to attend Commencement on the National Mall. If you plan to attend the ceremony on the Mall, please register your guests online, which will be available soon. You may register up to six guests. Military and veteran students are encouraged to contact the Office of Military and Veteran Student Services to inquire of any special recognition for veteran students. Graduates and guests attending the CPS/GSPM Celebration should review the Charles E. Smith Center parking and transportation website. Transportation and parking information for the University Commencement is provided on the University Commencement website. Commencement participants and guests seeking accommodations for Commencement weekend should consult the University’s listing of nearby hotels. Graduate photos taken at the CPS School celebration will be taken by GradImages. Additional information concerning GradImages will be provided at a later date. Your official diploma will be mailed to you after your degree conferral date. If your mailing address changes after you apply for graduation, please contact the Registrar’s Graduation Services Office. Please contact the CPS Office for Student Engagement at [email protected] or 703-299-8349 if you have any questions regarding Commencement.